A true classic speed/day boat built in GRP offering a fully sliding roof that can be easily removed. Powered by a frugal 9.9hp 4 stroke Mercury engine that has been serviced (June 2018) she is an ideal day/picnic boat for exploring the inland waterways. The trailer is in need of a mudguard on the nearside which I'm sure can be addressed by the owner prior to completion. 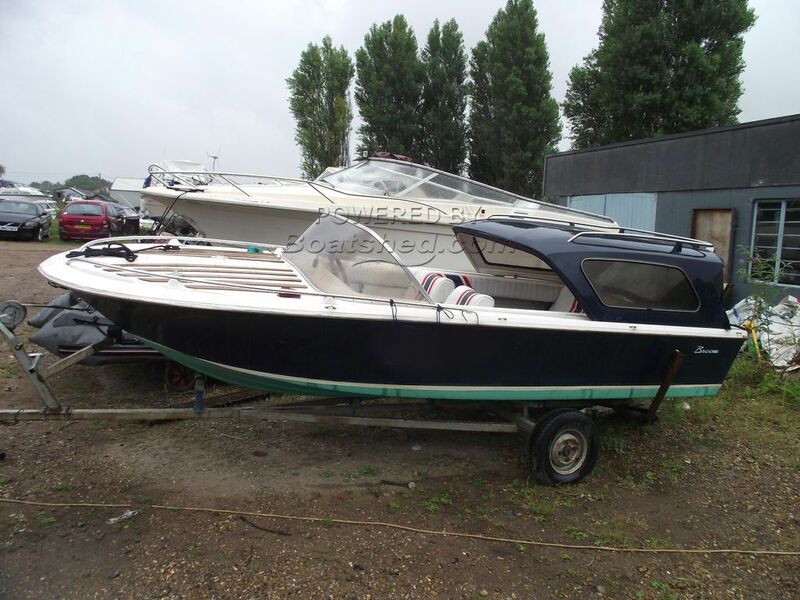 This Broom Scorpio has been personally photographed and viewed by Gary of Boatshed Norfolk. Click here for contact details.